A man has appeared in court accused of attempted murder after a woman was attacked near Cardiff city centre. Ahmed Ismail Ali, 34, of Butetown, appeared before magistrates who committed his case to the crown court. 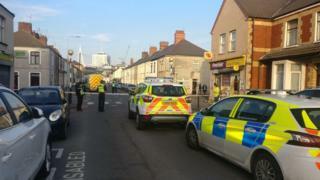 Police were called to Stafford Road in the Grangetown area of the city at about 14:15 GMT on Sunday. A 26-year-old woman, believed to be known to the accused, was taken to University Hospital of Wales, where she remains in a stable condition.